After a sloppy game that led to a bad loss against a beatable Vikings team, no question the Lions coaching staff deserves scrutiny and criticism. 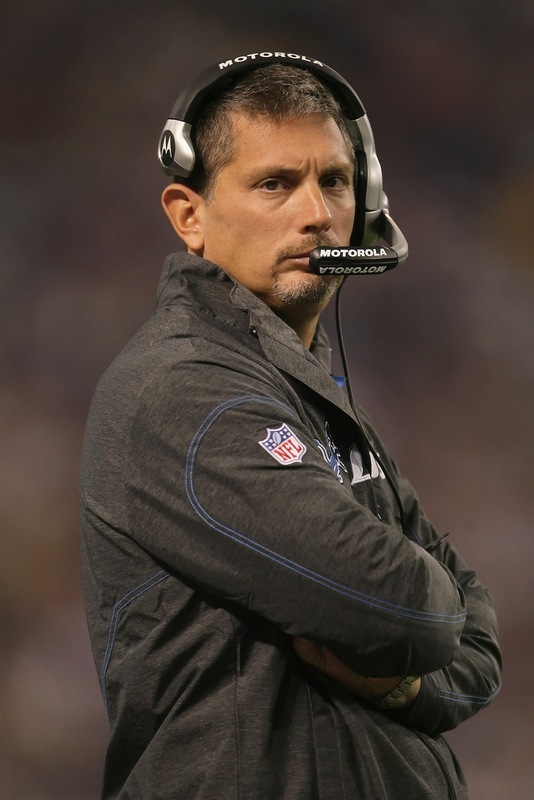 However, the issue most writers, pundits and fans are using as Exhibit A for Head Coach Jim Schwartz’s fallibility is a decision he made that I actually agreed with. At the end of the first half, the Lions had good field position and a little over a minute to play after forcing a Vikings turnover. The offense was able to move the ball into scoring range, and with about 15 seconds left in the half, Derrick Williams caught a pass and was tackled around the 15 yard line. The Lions had one timeout left, and most observers expected them to call it immediately and allow the offense to take a shot at a touchdown. Instead, Schwartz let the clock run down to three seconds and sent in the field goal unit. The question is whether or not the “proper” move would have been to allow the offense a play or two to throw a ball into the endzone for a possible touchdown before making the field goal attempt. For most teams, the answer would likely be yes. Sadly, the Lions are not most teams. Last week, Schwarz had a comparatively tough decision when the offense was stopped on third and one within field goal range in the second half against the Eagles. Then, Schwartz chose to be aggressive and let the offense try to get the first down instead of taking the almost sure three points. The Eagles stopped them cold and the momentum swung back their way. Last week, Schwartz made the wrong call, and I’m not just saying that because of the outcome. He made the wrong call because he failed to take into consideration that the Lions are terrible on short yardage power runs. Most teams have a package and play that can almost guarantee at least a one-yard gain. For whatever reason, the Lions do not. In fact, it is one of the things they absolutely must develop if they ever want to be a competitive team. This week, Schwartz made the right call. For most teams, taking a shot into the endzone as time runs down is a low-risk/high reward venture. Not for the Lions. With no time outs and less than 20 seconds to play, any number of things could have gone wrong. Hill could have been intercepted (as he was twice at the end of the game trying to do the exact same thing), or more likely he would have thrown to Pettigrew or Sheffler on the 5 yard line and they would have failed to score or get out of bounds. Time expires. No points. Frankly, I was as surprised as most viewers when Schwartz failed to take a time out the moment Derrick Williams was tackled on the previous play. “Why not at least throw it up for Calvin Johnson once or twice before kicking the field goal?” I asked. However, the more I thought about it, the surer I was that he made the right call. The Lions simply are not a good enough team to take those kinds of risks unless they absolutely have to.